Best Mutual Funds 2018 – Which is the best mutual fund for investment in 2018? Which mutual funds are likely to give a better return in 2018? I am sure you must be searching for the answers to these questions. Well, it is not a difficult task to answer these questions provided you follow a correct method for the selection of mutual funds. Remember mutual fund selection is not a rocket science. Anyone can find a good mutual fund for investment provided he/she follows a correct selection methodology. The year 2017 is about to end and like every year this year also I will be recommending best mutual funds SIP for 2018. 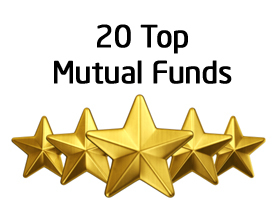 I am sure that you must have taken benefit from Top 20 Best Mutual Funds article written by me. All the mutual funds mentioned in the article are doing extremely well and giving magnificent returns to the investor. The average return given by these funds is above 15%. Today I am here with Top 20 Best performing mutual funds SIP to Invest in India for 2018. Also Read – How to Invest in Direct Mutual Funds Plans? Type of Funds – The first factor for the shortlisting is a type of fund like large cap, small cap, mid cap, ELSS, debt, balance etc. I have tried to shortlist fund in all categories. Fund performance – The second factor used for shortlisting of fund is the fund performance. I have selected best performing fund 3-5 years. Fund Rating – The third thing is fund rating. Higher the fund rating better is fund. I have considered rating given by CRISIL and Value Research. The fund rating above 3 stars is taken into account. Holdings – Another factor for the shortlisting of Best Mutual fund is fundholding. Fundholding with good blue chip stocks or making an investment in stocks which are likely to appreciate in future. Expense Ratio – Expense ratio is one of the important factors that affect mutual funds return. Higher the expense ratio means a lower return. All the funds given below are with low expense ratio. Fund Manager Expertise and Experience – A Fund manager is the person who makes the decision about buying, selling, or holding the stock in the mutual funds. The returns of the fund depend on the decision taken by the fund manager and its expertise. Scheme and Asset Size – Scheme type and asset size is another important factor while selecting funds. All funds selected here are higher in asset size – 500 Cr or above. Based on the above parameters the Best Mutual Funds SIP to Invest for 2018 are given below. Franklin India Bluechip Fund is first best mutual fund in large-cap category. If you look at fund performance, this fund has given consistent positive returns to investors in last six years. This fund is managed by experienced fund manager Mr.Anand Radhakrishnan. As the name suggests this fund has invested money in almost every bluechip stocks like Larsen & Toubro, HDFC Bank, Infosys, ICICI etc. The expense ratio of this fund is 2.23%. Last year fund return is near to benchmark return. This is fund is rated with rating 3 by CRISIL. Aditya Birla Sun Life Frontline Equity Fund (G) is a very good fund for the investment. CRISIL rating of this fund is 4. The fund is performing very well. Last year return of this fund is 24.3%. This fund has holding in big companies like Maruti, Infosys, ICICI Bank, HDFC. A majority of a holding of this fund is in BFSI sector. SBI Bluechip Fund is next best mutual fund for the investment. This fund is giving very good return since last several years. CRISIL rating of this fund is 4. The expense ratio of this fund is very low 1.97%. Fund return since launch is low. However, last year return of this fund is very good. Kotak Select Focus Fund is another recommended fund for the investment. CRISIL rating of this fund is 5. Last year this fund has given 28% return. This fund has even surpassed benchmark return since past five years. The expense ratio of this fund is low 1.97%. Overall it is a good choice for investment. Franklin India Prima Plus is first best fund in a multi cap category for 2018. CRISIL rating of this fund is 3. This fund has consistently given positive returns since past six years. Although this fund is unable to beat benchmark returns this year. However, last several years this fund has outperformed and given better return compared to the benchmark. SBI Magnum Multicap Fund is next best fund in a multi-cap category. CRISIL rating of this fund is 4. The expense ratio of this fund is very low – 2.04%. Fund performance history is very good. The major fund holding is in BFSI sector such as HDFC, ICICI Bank etc. This fund is managed by an experienced fund manager. The next best fund in a mutlicap category is HDFC Equity Fund. CRISIL rating of this fund is 3. This fund has given very good return last year. The expense ratio of this fund is low. Portfolio holding of this fund is very good. This fund is managed by an experienced fund manager. Kotak Opportunities Regular Plan is next fund for investment. Value Research online and CRISIL rating of this fund is 4. YTD return of this fund is very good. The fund has nearly surpassed benchmark returns. It is one of the oldest funds with very good performance history. HDFC Midcap Opportunity Fund is excellent fund in terms of quality, returns and expense ratio. This fund has given 30% return to the investor last year. Value Research rating of this fund is 4. The expense ratio of this fund is reasonable. One can invest in this fund with long-term perspective. DSP Black Rock Microcap Fund is one of the best funds in mid & small-cap mutual fund segment. CRISIL rating of this fund is 3. The major holding of this fund is in chemical and capital goods sector. This fund is managed by experienced fund manager Mr.Vinit Sambre. Reliance Small Cap fund is one of the best funds in the small-cap category. Value Research rating of this fund is 3. This fund has given 51.40% return to the investor last year. The expense ratio of this fund is low. Overall it is a very good fund for investment. The first fund in balance fund category is HDFC Balance Fund. Value Research and CRISIL rating of this fund is 4. Last year this fund has given very good return to the investor. The expense ratio of this fund is very low. It is one of the oldest and reputed fund for the investment. ICICI Pru Balance Fund is one of the best mutual funds in balance fund category. VRO (value research online) rating of this fund is 4. This fund has performed very well in the past. Last one year return of this fund is 20%. The expense ratio of this fund is reasonable. Overall it is a good mutual fund for investment. Aditya Birla Sun Life Balanced ’95 Fund is next recommended fund for investment in 2018. VRO has rated this fund with rating 4. Last year this fund has given 20.5% return. This fund is holding very good stocks like HDFC, Infosys, ITC etc. The first best mutual fund in ELSS category is DSP BlackRock Tax Saver. This fund is very good in terms of return and expense ratio. Last year this fund has given 26.7% return to the investor. Top 10 fund holding quality of underlying asset of this fund is also very good. Consistency in return and good fund rating make this fund as an ideal candidate for the investment. Franklin India Taxshield fund is one of the best funds in tax saver category. The return and expense ratio of this fund is very good. Last year this fund has given 21.3% to the investor. Good portfolio investment mix and high rating by CRISIL are positive points for investment in Franklin India Taxshield. Axis Long term Equity Fund is next best fund in tax saving category. Value Research Rating of this fund is 4. The expense ratio of this fund is low. YTD return given by this fund is high. Looking at investment profile and fund manager credential one can invest in this mutual fund. IDFC Tax Advantage fund is last best fund in ELSS category for 2018. CRISIL rating of this fund is 5 and VRO rating is 4. This fund has given a magnificent return in last one year. YTD return of this fund is 43.4%. The expense ratio of the fund is reasonable. This fund is able to surpass benchmark return consistently in past. One can invest in this fund from a long-term perspective. Kotak Monthly Income Plan is a debt oriented conservative plan. This type of plan is suitable for people with a conservative mindset. This fund has given consistently good return above 8%. VRO rating of this fund is 3. The majority of investment in this fund is in GOI securities and bonds. DSP BlackRock MIP is the best debt oriented aggressive plan. This fund has given a consistently good performance to the investor. The major holding of this fund is in mid cap, small cap stocks, and government securities. CRISIL rating of this fund is 3. You should be absolutely clear about time horizon expected return and investment objective before making an investment. You should build your mutual fund portfolio based on your financial goals. It is not necessary to invest in multiple mutual funds. Invest in few mutual funds based on your goal. It is not necessary to invest in each category mutual funds to build your portfolio. Always select SIP route for investment rather than doing lump sum investment. Invest in mutual funds for the long-term at least 3 years or above. If you are a risk adverse investor you can start building your portfolio by investing in debt or balance funds. Never invest in mutual funds based on tips. Carry out proper analysis and research before making an investment. If you are unable to identify mutual fund take advice from expert or CFP. Carry out assessment and balance your mutual fund portfolio at regular interval. Consider STP (Systematic Transfer Plan) for switching from one mutual fund to other. If your mutual fund portfolio is generating negative returns, do not panic. Don’t redeem or Stop SIPs. Avoid taking any decision based on short-term market movements. Continue your SIPs for the longer period. Prefer direct mutual funds scheme. Always invest in Growth based mutual funds over dividend based mutual funds. Stay away from New Fund offers (NFOs). Please Remember “Mutual Funds Investments are subject to market risks. Please read the offer document carefully before investing”. You might have already invested in mutual funds. You may or may not find your funds in above Best performing mutual funds that does not mean that your selection is wrong. Remember that there are thousand numbers of mutual funds scheme and selection terminology selected by every individual is different. Stay invested in your mutual funds and monitor performance of the funds closely. Disclosure – I have done SIP in SBI Magnum Multicap Fund & HDFC Balance Fund. I am very new to SIP and invested Rs9500/Monthly in different 4 SIP’s for minimum 8-10 years. Kindly check and suggest if my SIP’s selections are correct or overlapped. Also I want to invest another Rs2500/monthly in HDFC Midcap opportunity fund or HDFC equity fund. Kindly suggest me which one should I take. I would recommend HDFC Mid Cap Opportunity Fund for investment via SIP route. Your other mutual funds with SIP investments are ok.
With regards , i have invested 5L in birla sunlife 95 ,thru hdfc bank , how much i gain if i invest directly at the same fund ! And what’s the option switching over directly ? You will get 1-2% more if you invest via Direct route. Can you let me know if I should continue my existing investment in funds like ICICI Value Discovery and SBI Magnum Global fund. The performance and rating of ICICI Pru Value Discovery fund and SBI Magnum Global Fund is degraded. I recommend not to continue your investment in these funds. Should I hold or redeem my exisiting investment on these funds. Thanks for posting this. How to know if the rating is degraded for a particular MF? You need to track mutual funds online to know rating upgrade or degrade. Please suggest me where I can open demat Account Zeroda or Angel broking. Which one is best. Zeroda is best for Demat Account. Low Cost with good customer support.